Founded by Farooq Adam, Harsh Shah, and Sreeraman MG, Fynd is a unique fashion e-commerce portal which brings the latest in-store fashion online. The O2O company directly sources products across various categories including clothing, footwear, jewellery and accessories, from the most prominent brands in the country. Fynd’s integrated system allows for speedy delivery within four to six hours, and a complete assurance of product quality. Initially incepted as Shopsense Retail Technology Pvt. Ltd. in 2012, the company pivoted to Fynd in November 2015, and is currently based out of Mumbai. Fynd’s model is based on making optimal use of both online and offline forms of retail and channelizing their combined outreach for a superior customer experience. The fact that the fashion portal does not hold its own inventory eliminates any fixed warehousing costs, and allows it to offer the best products and deals to customers. Fynd is able to get the latest in-store inventories online much before any other e-commerce player, and optimises delivery time by sourcing products from the outlets nearest to the customer. With 8,000+ outlets on board, Fynd is the only company in the world to carry out store-level integrations on this scale. Its unique propriety inventory integrations enable customers to discover fashion in real-time, and know the exact specifications of the products available. Fynd is driven by the commitment to connect customers with precisely the kind of fashion they are looking for. By leveraging technology and investing in constant innovation, Fynd offers Indian fashion enthusiasts an unparalleled shopping experience. The platform has a personalised product feed, powered by a machine learning algorithm, which displays products based on the customer’s fashion taste and his or her previous purchases. Fynd has also built the world&#39;s first fashion bot on Facebook Messenger, called Fify, whom customers can directly chat with for style suggestions. In addition, interactive screen-kiosks are set up at partnering brand stores, which let customers in the store browse through all products available both online and offline, and place orders. The payment process is absolutely hassle-free as well, as customers can choose to pay online or via cash during delivery. The usual concerns related to online shopping, such as not finding the right size or having difficulty in returning a product, are also taken care of by the portal. Customers can ‘FYND a Fit ’ by trying multiple sizes from the comfort of their homes and can return products anytime using Fynd’s lifetime return policy. At present, Fynd serves customers located anywhere in India, and receives inventory data from stores in New Delhi, Mumbai and Bangalore. The company will soon be expanding its services to other parts of the country, and will be increasing inventory to include more than ten lakh products in the next six months. Fynd also aims to bring more than fifty lakh Customers on-board to find answers to all their fashion needs through the portal. Harsh Shah is one of the three co-founders of Fynd, the unique fashion e-commerce portal which brings the latest in-store fashion online. He has a keen interest in consumer-facing technology in the retail sector, and specialises in management consulting. At Fynd, he brings his valuable experience in technology and entrepreneurship to the table, and oversees the supply side of operations, including managing partnering brands and stores. Born and brought up in Mumbai, Harsh speaks four languages and hails from a family which has been in the city for three generations. 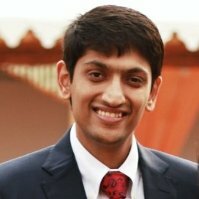 He completed his graduation from the Indian Institute of Technology, Bombay, in 2010 and was already part of the entrepreneurship landscape by his second year of college. As the Head of the Entrepreneurship Cell at IIT Bombay, he directed a team of twenty students and led several programs that aimed at instilling the spirit of entrepreneurship in the Indian youth. In 2009, Harsh co-founded Nova Global, a start-up that connected leading global organisations with a network of high achieving, driven professionals and students. Nova Global went on to be nominated as one of the top hundred student-led start-ups of the world by NYSE. Between 2010 and 2013, Harsh served as a Strategy and Analytics Consultant at Opera Solutions, where he gained immense experience in customer segmentation and collections strategy. Currently based out of Mumbai, Fynd is successfully disrupting the fashion market by combining technology and retail. The fashion portal directly sources products across various categories- including clothing, footwear, jewellery and accessories- from the most prominent brands in the country and delivers them to customers, with assured quality, within four to six hours. Under Harsh’s supervision, Fynd is poised to grow beyond a B2B/B2C platform and become a pioneering player in every sector where technology and retail intersect. Besides entrepreneurship, Harsh is passionate about sports, travelling and food. He is also a movie buff and an ardent reader. 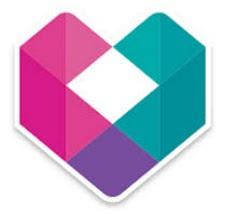 Tags # fashion app # Fynd # Shopsense Retail Technology Pvt. Ltd.
Shopsense Retail Technology Pvt. Ltd.
Labels: fashion app, Fynd, Shopsense Retail Technology Pvt. Ltd.